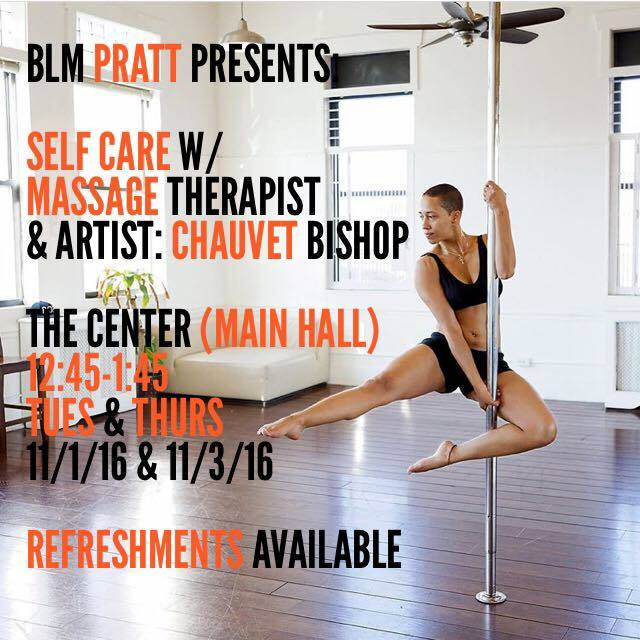 Massage therapist and artist, Chauvet Bishop, will lead participants through a workshop to promote self-care and healing. There will be two sessions of this workshop and participants are encouraged to attend both or either. Light refreshments will be provided.